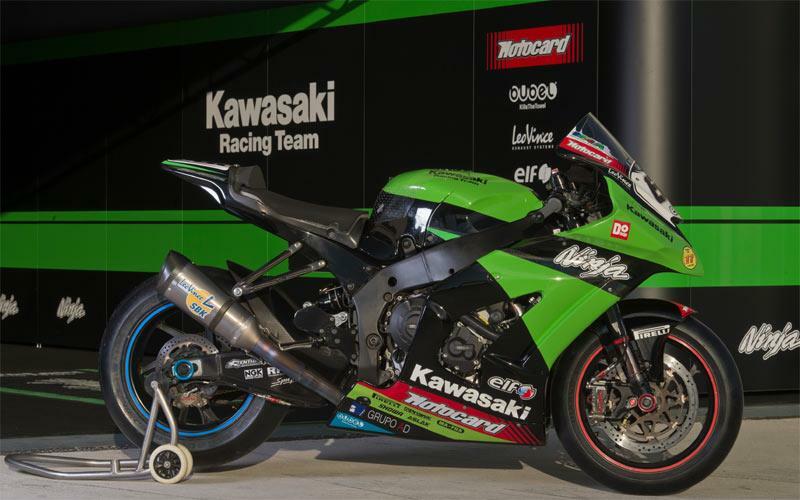 Tom Sykes’ works Kawasaki ZX-10R broke the WSB record earlier this year by clocking an astonishing 211mph at the end of Monza’s long straight. But what does a 240bhp, 210mph-plus superbike feel like? "Even at low rpm, trundling past the garages, the bike sounds angry, its snarling exhaust tone echoing off the pit walls. "With the tyres up to temperature thanks to the tyre warmers the first few corners are taken with knee-down confidence. The tight chicane before the long straight is taken with a brush of brake and back two gears – two taps on the quick-shifter in race shift. "There’s no need to use the clutch: it’s activated by the pressure on the gear selector like a conventional quick-shifter on up-changes. It’s strange at first but simply outstanding once you’re used to it. The last left before the long straight is a slow second or first gear corner; I opt for second in fear of a mighty high-side. I wind on the power and the rear Pirelli slick digs in and already the gear indicator lights are flashing. "I tap third and fractions of a second later, fourth. I tuck in as small as possible, tap fifth, then just into sixth. I still haven’t closed the throttle but the ZX-10 loves it. Wow! Sixth gear on a full-blown 240bhp WSB is incredible. But I bet I can get more with better drive out of the last corner and later braking. I need to be brave." Keep checking motorcyclenews.com for video and pick up the June 27 issue of MCN for the full test.